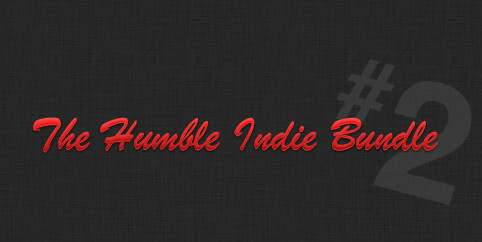 After lasts year's huge success the humble indie bundle is back. You can buy a bundle of great indie games paying what you want and at the same time decide where the money are going. You can give the money to the developers or a charity or both. All games play beautifully on Windows, Linux and Mac OSX. Braid. The classic puzzle platformer where ethical dilemmas and love mix with time manipulation to create a magical experience. Cortex Command. An action platformer that allows us to fully customize a robot and spread mayhem to our enemies. Machinarium. The fantastic adventure that redefined beauty in game graphics design. A sweet story about a little robot trying to survive getting back at bad guys. Revenge of the titans. A strategy tower defence game with beautiful retro graphics. Go have great fun while helping child'd play charity. Hurry, the bundle will end in 6 days.